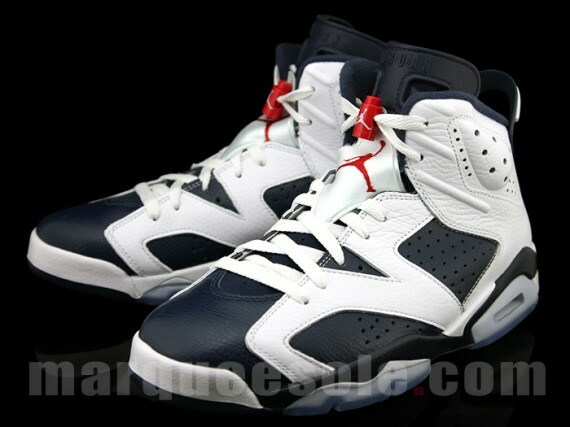 With the 2012 Olympic Games fast approaching Nike/Jordan sure has some goodies in-store for us in the next few months. We all know about the Gold Medal Pack and the Olympic 7's and 6's making a return, but we also have a few Other Jordan Goodies to look forward to, including a few new colors of the Retro 1. Take a look at the Olympic Inspired Jordan's in the pics below let us know which ones you will be copping and make sure you stay tuned on release info on all of them. One seller on eBay has been making sneakerheads drool over the last few months. He has been listing nothing but pure heat for sale and if your pockets or deep enough they could very well be yours. 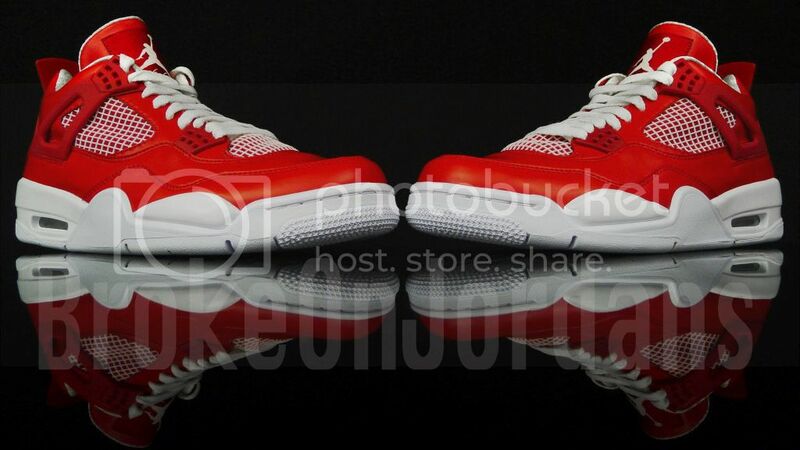 Now he brings us a very jaw dropping look see Retro 4 Sample it features a all red upper, premier sock liner material and a white midsole. The seller says these are made of the same synthetic material used on the Foamposite Six Rings without the shinny material. What do you think of this super rare sample? 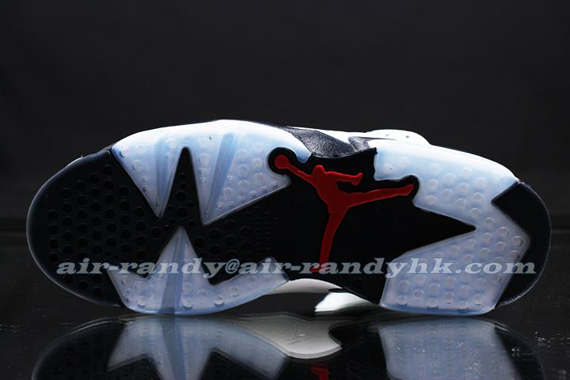 There is rumor that these may still release Hit up brokeonjordans on ebay to purchase. Ok we know that we have just shown you more pictures of the Lebron 9 South Beach Elite, but what's better than actually Nike Pictures. 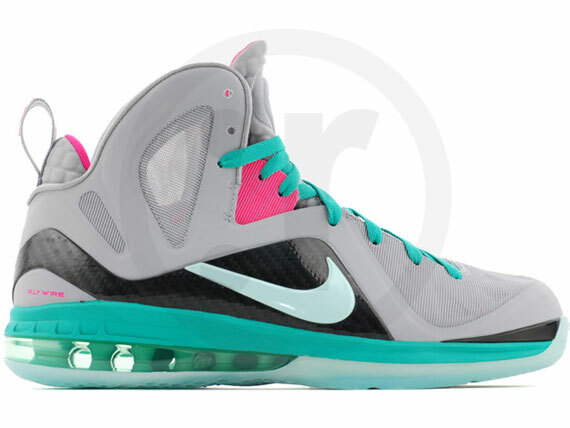 Just now we have for you the official Images for the Highly Anticipated Lebron 9 South Beach Elite. These are expected to drop June 2 Retailing at $250. Who's ready to get this over with and cop already? Check out more images after the jump. 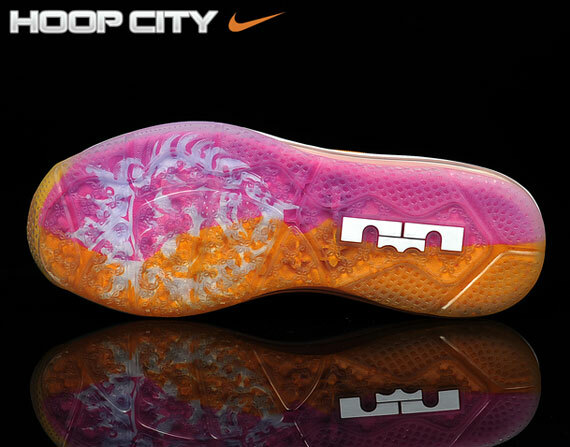 As the time comes closer and closer more pictures are starting to pop up of the South Beach Lebon 9. They have already released in many locations overseas but they still have not dropped here in the states yet. With a retail of $250 and already selling for over $600 these are still sure to make a instant sellout look like a walk in the park. We just hope no one gets hurt over these when they do decide to drop here. Not to long after the news of the new Nike RSVP system, Nike tweeted recently of more shocking news. For now on there will be no more midnight drops on their website. All release will not be posted no earlier then 8am, this is just another move to slow down on violence that has surrounded Nike product release, but would a internet time change help anything? What are your thoughts on this new change from Nike. Like they have been doing recently Nike will tweet the links for releases you just have to keep your eyes open. Linsanity still continues even after Jeremy is out for the season. 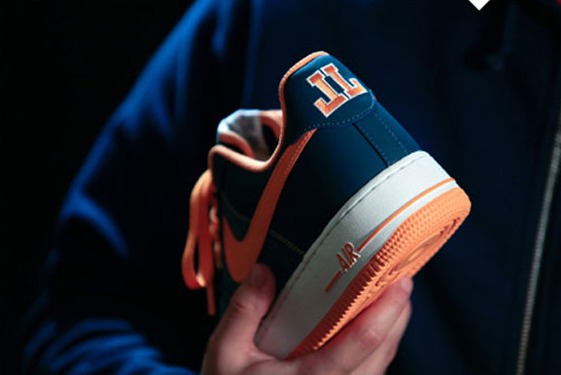 The Linsanity hyperdunks just released at your local HOH and now we see images of a JL pair of Air forces. We are not sure if this is a general releases or a special pair made just for Jeremy. With this begin the 30th Anniversary of the Air Force 1 anything is possible. Take a look at this picture let us know what you think. After a long await we finally have a release date for the Retro IV Cavaliers once believed to be a NY Knicks colorway. TCC first announced a release in may but now it is confirmed that the Shots will drop May 12th as a Quickstrike release. Look for these to be a hard cop even though they will be at most stores and available and GS Sizes. The story of this colorway goes way back to 1989, when Michael Jordan hit the game winning shot against Craig Ehlo. Will you be copping?